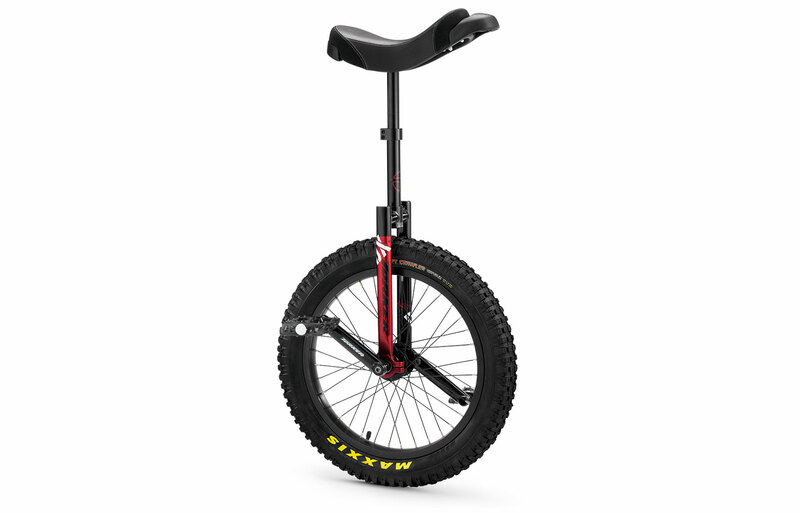 The DX is the most durable, rugged unicycle available. It’s ready for off road adventure, jumps along railings, walls, benches, stairs or whatever urban setting you put it through. Durable & lightweight chromoly frame in 2 sizes. Tubular chromoly ISIS crank arms with Odyssey twisted PC pedals. 36 hole double wall hollow core rim laced to an oversized bearing hub. • Durable & lightweight chromoly frame in 2 sizes. • 36 hole double wall hollow core rims. • Tubular chromoly ISIS crank arms. • Odyssey Twisted PC polycarbonate pedals. • Oversized sealed bearing hub. • Brake mounts on the 24” model.